What better way to enjoy winter than to go Ice skating? 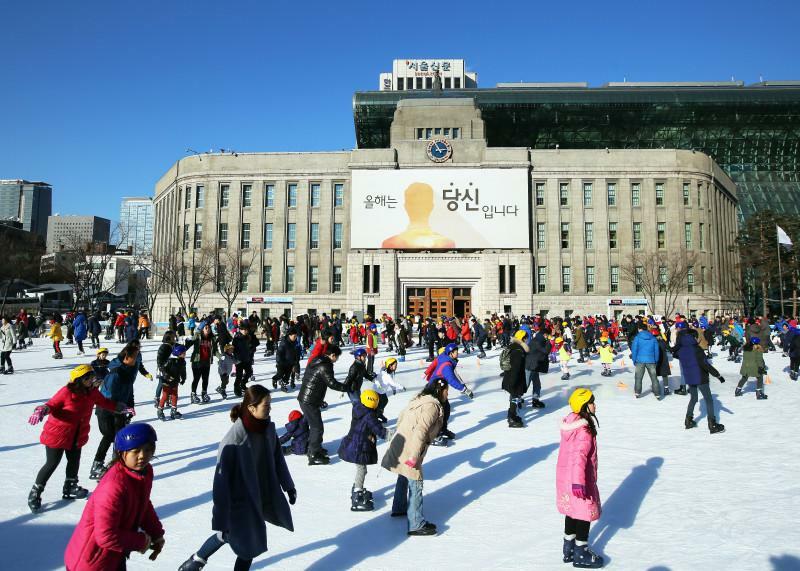 Seoul Plaza, just by Seoul City Hall, has like every year, transformed to a big ice skating rink for the pleasure of Seoulites. For 1,000 Korean Won an hour, you can spend a great time skating with your family or loved one, and enjoy the facilities around: cafeteria, coffee shop, and even a VR zone. Although it usually closes at 21:00 PM, it extends to 23:00 PM on a Friday, Saturday, and during Holidays. On top of the main ice rink, Seoul Plaza Ice Rink houses a curling ice rink and a rink specially dedicated to children, for everyone to be able to make good memories safely. The facilities are also offering skating and curling lessons for children and adults. For more information on the venue and to book lessons, take a look at the Seoul Plaza Ice Rink website. Tickets can be purchased on-site or online via Naver if you have an account.